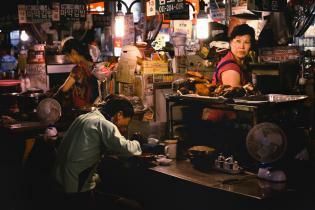 Dinnertime at Gwangjang Market, Seoul. 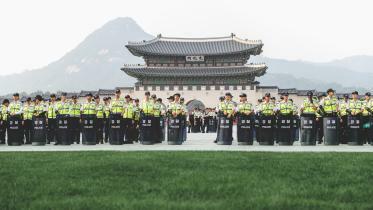 Police with riot shields fill Gwanghawmun square in preparation for planned protest against the Park administration in the aftermath of the Sewol disaster. This weekend a new bar is opening in the Jongno Bar. Although the official opening isn't until October 2nd, there is a pre-opening this weekend with free anju! There tag-line is 'Don't blame gravity for falling in love' which is a bit adorable. 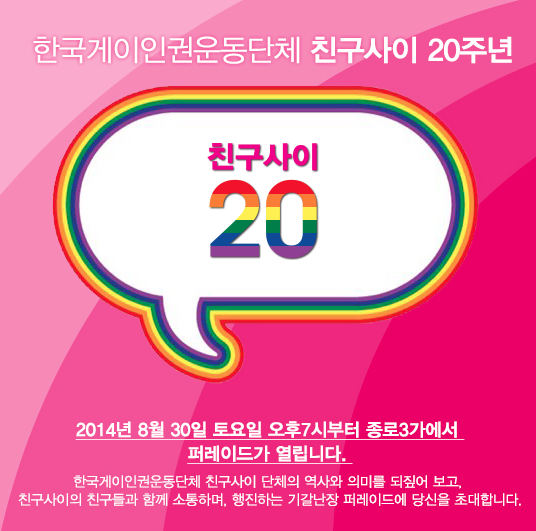 If you missed gay pride this June or are in need of a second parade, come out to Jongno tomorrow to celebrate 20 years of Chingusai (one of Korea's gay rights groups). A View of the Main Hall at Jogyesa Temple in Jongno, Seoul. Jogyesa Temple, in the heart of Seoul, was first established in 1938. When the temple was first established, a building from Gakhwangsa Temple in neighbouring Susong Park was transferred to the present Jogyesa Temple grounds. This building, which no longer exists, was funded nationally for Korea’s first Korean Buddhist mission. At this time it was renamed Taegosa Temple. The temple changed its name, after the Buddhist Purification Movement in 1954, to its current name of Jogyesa Temple. 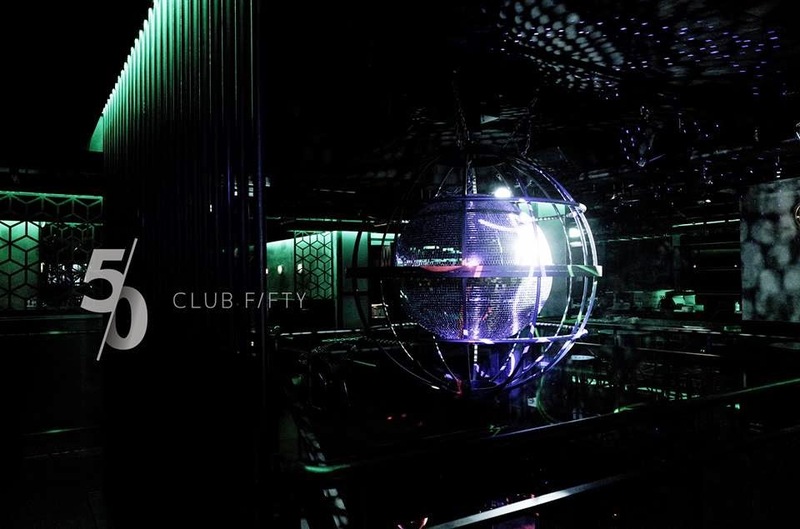 A new club opened up this weekend in Jongno. Pub and lounge on the first floor and a dance club in the basement. I'm pretty sure it is a gay club as they were advertising it on Ivan City and it is right near the gay junction outside of Jongno 3 Gu exit 6.